Praising Pete – Book 7 of my Tarnished Saints Series is now available. And as a special gift to you, I am offering it Free for the next three days, Feb. 4-6. After that I will offer it for a very limited time special price of 99 cents! Pete Taylor is a preacher doing missionary work in Peru. He also has a major flaw – gambling and making bets, tho he does it for the good of the church and others. But one wager with a rich man has Pete returning to the States with the man’s unruly daughter, Eva Manterro in tow. 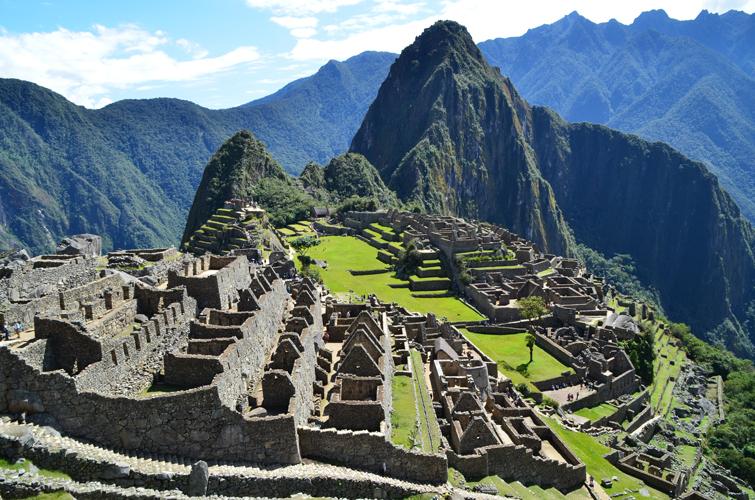 This book starts out atop Huayna Picchu – the tall peak behind Machu Picchu, the Incan Empire that you see in the photo. I climbed to the top of that peak years ago with my husband. If you’d like to see more photos from the book Praising Pete and also me atop that mountain – visit my photo gallery page by clicking HERE. 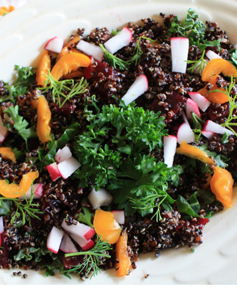 And I have a few more original recipes you’ll read about in the book such as Eva’s Quinoa Salad and Pete’s Ceviche which can be found on my recipe pages where you’ll also see a photo of Eva. Get a glimpse at the rest of the bookcovers from the Tarnished Saints Series and read excerpts from any of the books by clicking HERE. And Sunday starts the Love at First Sight -Valentine’s Day Author Hop featuring nine authors and their first books of a series. The romantic sub-genres for the featured books range from historical to contemporary to paranormal and even sci-fi.There will be prizes to be given away. I will send more info on this later. In the meantime, pick up a copy of Praising Pete and if you enjoy it, please leave a review for me on amazon. Each book in the series stands alone, but it is best to read them in order if possible so as not to ruin any surprises. You can pick up your FREE copy of the Tarnished Saints’ Christmas Prequel to get you started. It is a glimpse into the early lives of the Taylor Twelve as children, and how they got labeled as Tarnished Saints. Here is the booktrailer for books 1-3 of the series, and watch for more booktrailers coming soon. This entry was posted in Uncategorized by Lizrosek. Bookmark the permalink. I really like this cover and this specific post. My husband is blonde. So I love me a blondie. Like this guy Pete. I have yet to read your books, but I would like to now! Ashley, thanks for commenting! 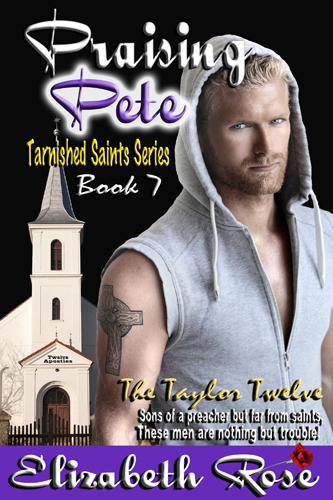 If you’d like to give the Tarnished Saints’ Series a try, Pete is on sale for only 99 cents til Valentine’s day, and so is Thomas. And the prequel to the series – the Tarnished Saints’ Christmas Prequel is FREE!